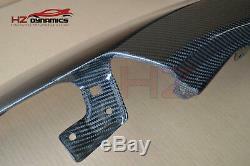 HONDA CIVIC FN2 TYPE R MU TYPE FRONT VENTED CARBON FIBER WINGS 2006 TO 2011. 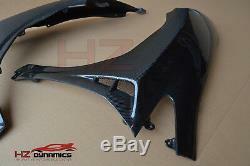 2006 TO 2011 HONDA CIVIC FN2 CARBON FIBER VENTED FRONT WINGS MU STYLE. 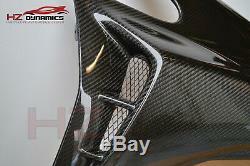 Manufactured from GRADE A WET LAYED carbon fiber materials. 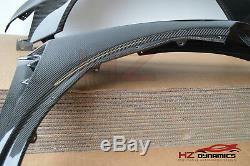 2 x 2 carbon weave - light weight - uv protection. Complete with pre installed BLACK MESH. 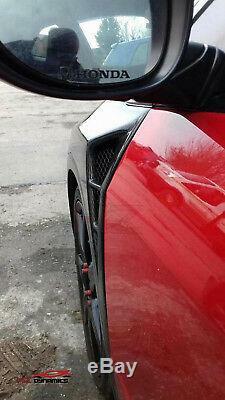 Pictures show front fenders installed on customer vehicle with good results. Sometimes aftermarket bumpers require trimming and sanding which is normal for fiberglass parts. All parts are security marked before dispatch. We always require a contact telephone number, preferably a mobile number to pass onto the courier company. Please ensure you return the goods via track and trace service and fully insured to the correct value of the item your sending back. HZ Dynamics Ltd have grown rapidly to become a major leader in vehicle aerodynamics and design. We manufacture carbon fiber, polyurethane, abs plastic and fiberglass products as well as sourcing direct from other manufacturers and therefore enables us to provide the best and most desirable styling products. All our products can be collected if required from our 4,000 sq ft warehouse situated in Loughborough, Leicestershire. Installation of Bodykits and Lip Kits. All aerodynamics are manufactured with fiberglass unless otherwise noted. Due to the material used in production, some parts may NOT be a direct bolt-on. Parts may require prepping and sanding. ALL parts must be TEST FITTED before painting to make sure you have the correct part. 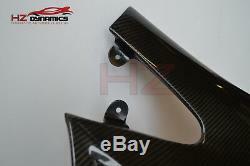 Specialist in Carbon FIber, Polyurethane, Fiberglass and PP plastic accessories. Based in Loughborough UK since 2007. 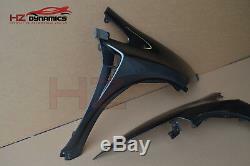 The item "HONDA CIVIC FN2 TYPE R 2006 TO 2011 MU TYPE CARBON FIBE FRONT WINGS FENDERS" is in sale since Tuesday, July 3, 2018. 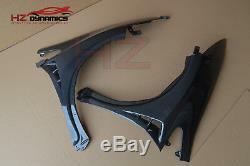 This item is in the category "Vehicle Parts & Accessories\Car Tuning & Styling\Body & Exterior Styling\Grilles, Meshes & Vents". 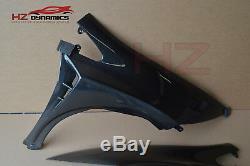 The seller is "hz_dynamics" and is located in loughborough. This item can be shipped to United Kingdom, Ireland, Germany, France, Italy.